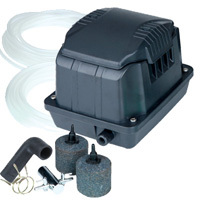 Lotus Clear Pond 18 Filter & PondXpert Pondpush 3000 Pump Set: Pump and Filter Sets: Pump and Filter Sets - Buy pond equipment from Pondkeeper: fishing out the best deals on the net. 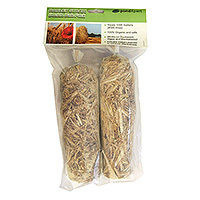 Save £29.99* on this perfect solution for goldfish ponds up to 9,000 litres (2,000 gallons). This filter/pump system is even good enough for koi (reduced max. koi pond size of 4,500 litres). 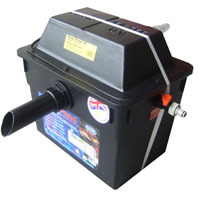 The compact Lotus Clear Pond 18 employs filter foam cartridges, brushes and Flocor media to ensure your dirty pond water is thoroughly filtered. 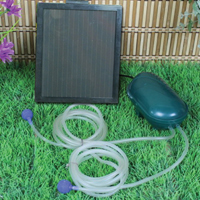 It has a powerful 18w UVC unit built into the lid to keep your water clear of green water and is a doddle to clean thanks to the quick action back flush. 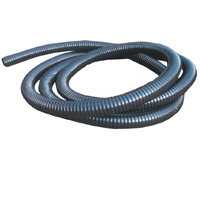 A full de-sludge is also available by simple hose attachment (all filter media is held above the filter floor so valuable friendly bacteria will not be harmed by this process). 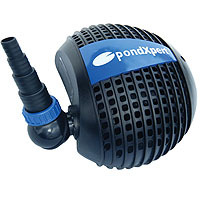 The PondXpert Pondpush 3200 filter pump is economical to run and can handle 6mm solids. * Saving based on buying components individually. Unfortunately as we sell through various channels (website, telesales, eBay and Amazon) it can take a few minutes for stocking levels to be updated on the website. On this occasion an item that you ordered was showing as 'In Stock' but we had just sold the last one on a telephone order - please accept our apologies for this. I can see that a full refund was processed on 17th July and should now be cleared in your account.